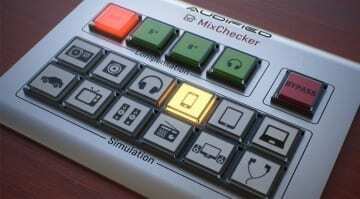 Audified MixChecker – wtf does it do? 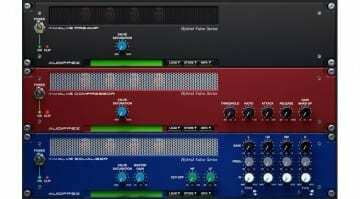 This intriguing and highly amusing little teaser video popped up on YouTube the other day from Audified, makers of a wide range of plugins and live recording audio software, and asks: What does it do? 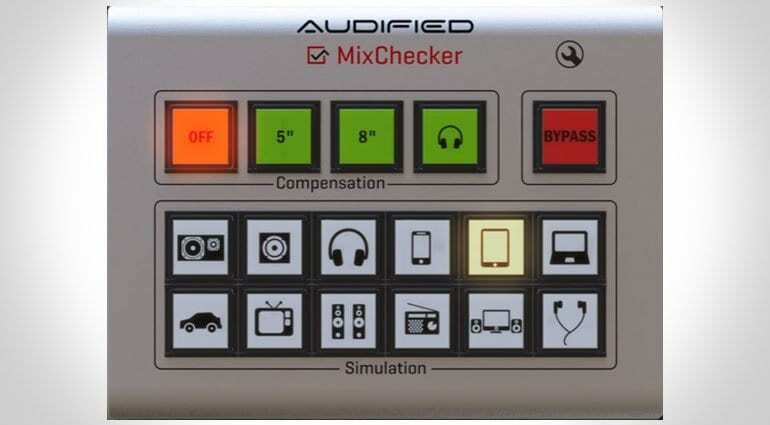 Well, the box appears to be called the Audified MixChecker – because it’s written on it – and then we have two banks of buttons, one called Compensation and the other Simulation. 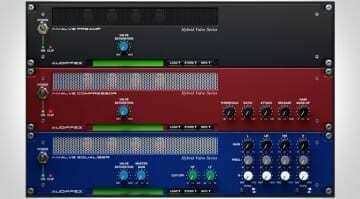 The most obvious answer would be that it’s a box that simulates the possible destinations for your mix. So, if you want to check what your mix sounds like through ear buds, or a phone or in car then just hit the appropriate button. 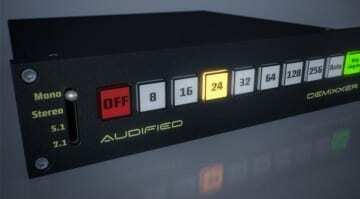 The compensation side is probably to do with speaker size. I’m almost certain that the big BYPASS button bypasses the effect. The tagline is “MixChecker – You Mix For The People” and it says it’s available in May, which is now, so hopefully we won’t have to wait too long to get all the details. I’m guessing though, when you consider Audified’s other products, that it will be a plugin rather than this rather lovely little box. There’s currently very little information on their website here, but please enjoy the video below.